Are you a fan of Free Dove and would love to Blog about it? We prefer a blogger that has a fashion mind and attitude. This means a good fun fashion writer with great narrative ideas to make our customers excited to read more about Free Dove and to visit. A very enthusiastic & fun blogger. A blogger takes tasteful pictures. Therefore a good knowledge of your viewer lightning, shadows, good angles of your camera or Photoshot program is what we need. The program to retouch or Edit your pictures is not important as long as you know where to adapt a creative look with shadows and lights. Must know how to make excellent descriptions of the designs. Including attaching links where to find what you are describing if possible. To know the importance of blogging once or twice a week depending of what we offer. Must have passion and enjoy what you do. You must always follow up your own blogging and connect with others like our own designer’s blogs. It is your responsibility as a blogger to update your display at Free Dove. 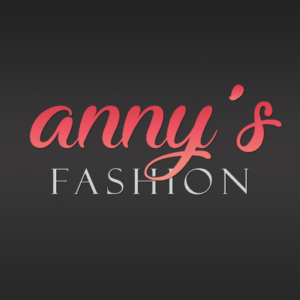 This display is your place to shine and show others your fashion blogs, pictures and fashion positive opinions. To let us know always by sending us a notecard when you update your blog providing links to what you blogged. This should be done by notices in the Signature Dove Blogger group that you would need to join. Be able to connect all Signature Dove Events & Activities such as Events (Fashion Dazzle), park activities when these go in effect at Dove Goddess Romance Park. —However, a good way to be selected is when you show us how active you are as a blogger, the quality of you blogging and all the effort you showed when blogging. This will definitely will show how many followers you got. Inside the notecard attach 1 pictures. “One” a snapshot anywhere in Second Life. “One” profile photo of yourself. “One” in the area of Signature Dove (Free Dove or Fashion Dazzle) (you choose what to photograph there) “One” example of a photo you have blogged before. Select one of our products and make a narrative description of the item where you are ‘not’ selling the item but enjoying the creation of the design. Not necessary to buy the item but if you prefer you can. Send notecard with this info to Palomma Casanova along with a short message in IM that you sent us a notecard. Thank you for thinking and considering Signature Dove for your blogging experience and FUN. Remember, if you have passion for what you do, the rest is very easy!